When customers that have used Daylite and left to try out something else as their needs change, we often hear that they have come back to Daylite with a new appreciation for it. Here is one of those customer’s story. As a business owner, it’s important to regularly evaluate the tools you use to make sure you’re getting the most of them, and they’re meeting your needs. We do this with tools we use, so we completely understand when a customer wants to explore other CRMs that may be a better fit for their business as their needs change. While we’d love for every customer to stay a customer, we realize that we can’t be everything to everyone. We never like to hear when a customer leaves Daylite, especially when they’ve been a customer for years, but we understand the importance of doing what’s best for your unique business. Of course, our door is always open if they decide to come back and use Daylite, as was the case with Emily. Emily Rudow is a young, female entrepreneur with a lot of ambition, so it’s no surprise that she’d want to explore CRM options to make sure she’s maximizing her return on investment. When you launch a startup at 27 and break a world record for most consecutive half-marathons run the next year, you understand the importance of maximizing your time. 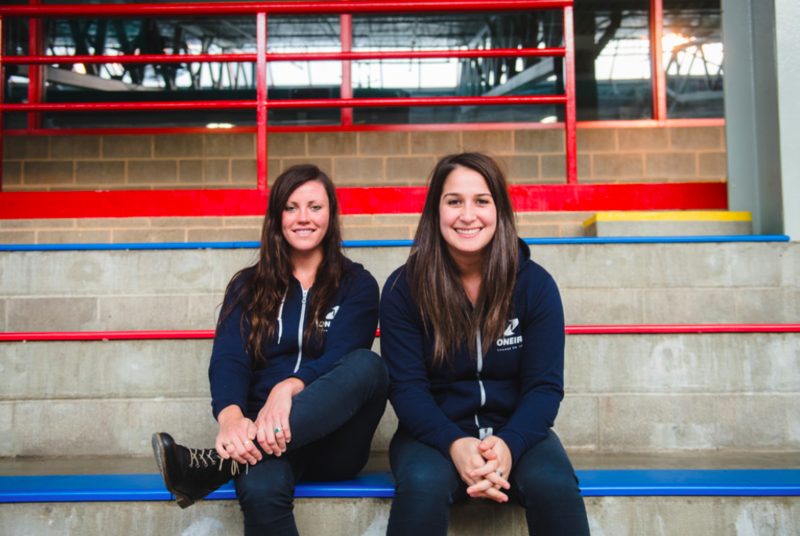 Emily Rudow’s company, Oneiric, develops innovative protective base layer apparel for hockey players. 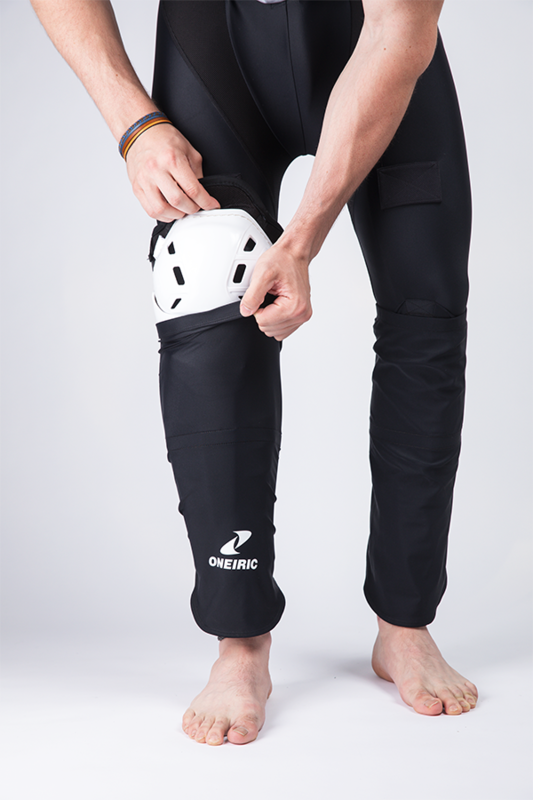 Oneiric’s patented design has added safety and performance features and are sold in about 45 stores across Canada and the US. 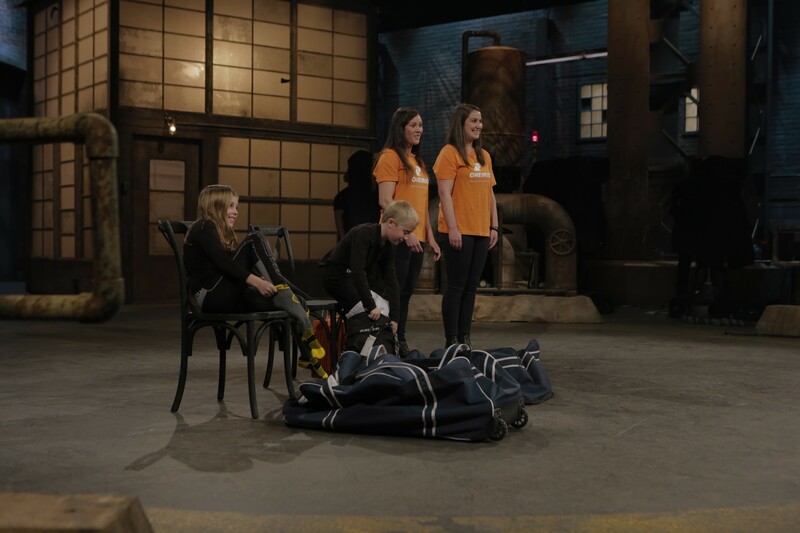 You may have even seen them on Dragon’s Den. 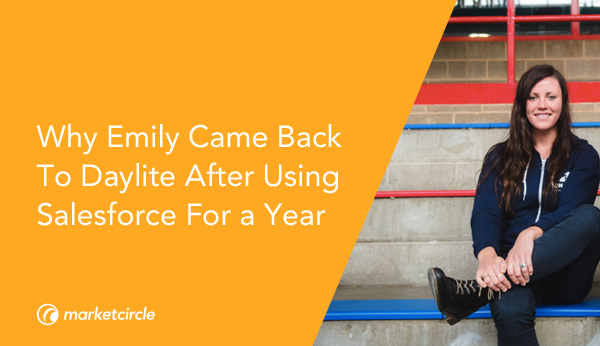 While Oneiric sells directly to consumers online, they also sell to retailers, which is why Emily needed a CRM to keep track of these sales as they have a longer sales cycle. Emily had previously used Daylite while working at Marketcircle, but her mentor suggested ZohoCRM. Emily then contemplated Daylite or Salesforce. She had used Daylite for managing projects and tasks before, and used Salesforce in a later job at a marketing agency. The deciding factor was when she was given a one-year free license of Salesforce as part of a startup accelerator program. Emily started looking at alternative solutions and that’s when she tried Daylite again. Emily started a trial of Daylite and started using it to track leads and manage her cold calls. She remembered that one of the things she had taken for granted was being able to work offline. Another thing Emily had missed about Daylite was the ability to get a quick overview of her week from the Home Screen. One key thing that Emily appreciates now with Daylite is the integration with Apple Mail. Daylite’s integration with Apple Mail has also made Emily’s process easier when dealing with new leads through email.